Today was a critical day in our history. Today’s millions of people marched on the streets of Washington D.C, Boston, Chicago, Los Angeles, and even in London, and Italy to stand up for equal rights. With great sadness, due to a family emergency, I could not attend the march personally. However, my heart and soul believe in the movement. I fought it through my volunteer campaign work during the election and continuous support of the progressive movement. Additionally, I don’t hesitate to contact my representative at congress every week to remind them that they were elected to be our progressive voice and not to forget that. My beautiful readers, today my friends and loved ones marched for what is right. Each of this wonderful people comes from different walks of life. Women, men, gay, straight, rich, poor, old, young, everyone gathered together to stand up for equal pay, equal rights, and equal opportunities. When I saw the images, I could not stop but cry. To be honest, after the election for while I lost hope. However, when we have so many people coming together in solidarity we cannot go wrong. I hope everyone had the honor and privilege of taking in the day moment by moment and captured it in their hearts and souls. When I saw the eyes of the people walking together with one voice of solidarity I saw hope, a hope for the future. I know we will be all right. I took it all in. It was a beautiful day, beautiful time. I feel honored and privileged to share and time with so many wonderful people. I want to especially thank the wonderful group of people who organized these events. You guys rock! What this election have taught us is that we have a long way to go. As I have said before, do not give up. Keep fighting! At the end, that’s all matter. At the end, we will persevere. My beautiful and wonderful readers! I am hopeful more than ever and as long we stand in solidarity and have images like this the world will be good for us and our children. However, just remember Robert Frost’s words, “And Miles to go before I sleep”. I would love to hear your thoughts about what you went through today, and if you were privileged and honored to participate. Hope you enjoy this post and as much as I love writing it. Don’t forget to check out my Facebook Page and follow me on Instagram @allaboutme3181. Are you on Bloglovin? Let’s add each other. Please follow me and comment below with your information so that I can follow you back. This entry was posted in Other, Uncategorized and tagged blog, Blogger, Equality, Hope, Lifestyle, Perseverance, Solidarity, Women's March, Women's March 2017 by allaboutme31. Bookmark the permalink. Do I have to mention one? 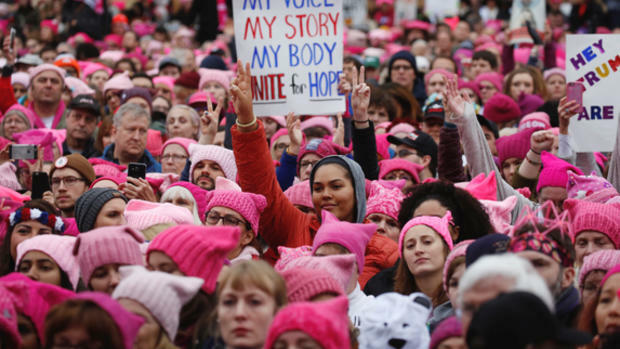 I am sure you have been paying attention to the March and I March for every rights, women’s right, equal pay, equal opportunity, and many more. I am not going to choose one as this is the beauty of this wonderful country you and I live in. I hope it makes sense. Love this !! So proud! !